Since 2014 I have been working full-time as a therapist at a community behavioral health agency that also staffs a therapeutic nurse practitioner. Most of the clientele I see come referred by their Primary Care Physician. And they come to the initial intake session with the expectation of meeting with a med provider and receiving medication management. Many are disinterested in or unaware of the potential benefits of counseling. They simply know that they have symptoms that are disruptive to their functioning and that they want a medication that will make them feel better. In our society, it is reasonable that many people will turn to a pill for relief. Advances in technology and medicine have been amazing at allowing immediate gratification and immediate relief in many areas. And it is human nature to want to avoid pain and discomfort. However, (of course there is a however!) some issues cannot be resolved simply by fixing; they require healing. And healing requires more than just a pill. This post is written for the benefit of individuals who generally approach mental unwellness by only asking for a prescription. 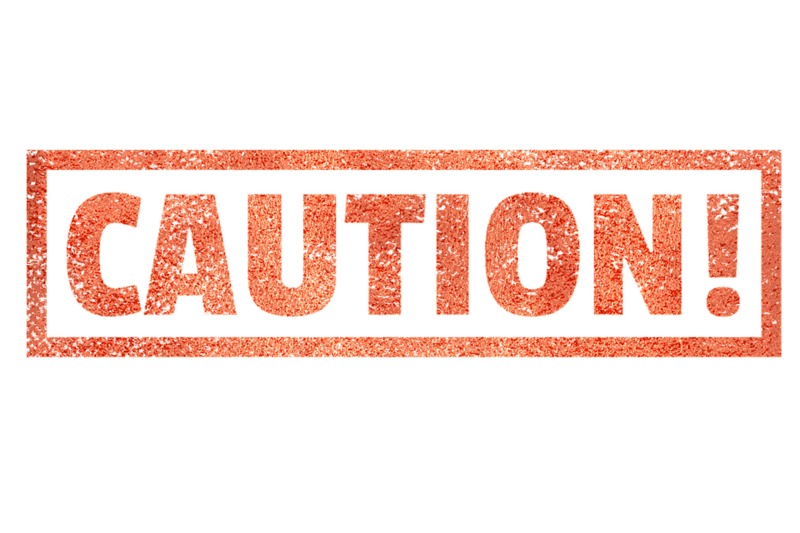 I wish to offer them some cautions and considerations for maximizing their healing and minimizing risks for long-term limitations. 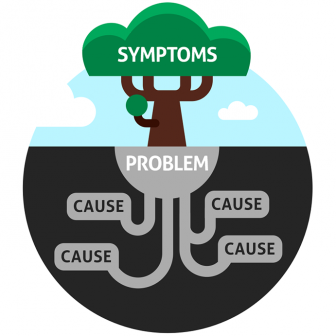 What Lies Beneath: Treating the Problem or Symptoms? It is easy to confuse a problem’s symptoms with the problem itself. In the case of a mood disorder such as depression, people generally seek a counselor or talk to their doctor because they are experiencing unpleasant symptoms of depression such as depressed mood, no interest in activities, issues with sleep, energy, and feelings of guilt or worthlessness. Many do not give thought to why such feelings may be emerging, they simply know that they don’t want to feel that way. And so they often turn to medicine to feel better. However, much like filling in a gopher hole won’t take care of a gopher problem, taking medicine won’t help someone heal from trauma, relationship problems or an inability to manage a stress pile-up. It might smooth things over for a while, but eventually, symptoms of an unresolved problem are likely to manifest themselves again. Counseling can be a way to identify and focus on underlying problems that have caused symptoms to manifest. In some cases, medication is an important part of treatment, but research shows that medication in conjunction with counseling tends to have far more positive and lasting effects than only relying on medication. If you only want to consider medication for a mental health issue, you may be depriving yourself of both healing and better symptom relief. A guiding principle in my life is to be an agent to act and not to be acted upon. To me, this means I want to be in control of the decisions I make. If a medicine is impacting me in a way that I do not feel like I am me, that is a problem. Some people take medications that are not a good fit for their body chemistry who may report feeling like a zombie or not being themselves. To me, this suggests that that medication is not helping a person be an agent to act. Some people take medication because they do not want to feel. They want the medicine to act on them so that they don’t need to experience natural consequences or so that they can escape reality. This is especially true when a substance is being abused. Again, this person is not being an agent. Medication used well will hopefully help someone be better connected to themselves so that they can act and make choices. This is particularly valuable if depression or anxiety or another disorder has been acting on a person to the extent that they can’t act, as can be the case with someone with anxiety being paralyzed by fear, or someone with depression not having the energy or hope to act consistent with their goals. When trying to distinguish between helpful substance use or detrimental substance abuse, I look at whether the substance safely helps a person be an agent to act, or if it causes them to hide from their agentive role. Some people allow fear to prevent them from considering using medications that could help them, while others may allow discomfort to keep them from carefully weighing out the pros and cons of medication before seeking a prescription. It is important in all situations to make an informed decision about what you put into your body. It shouldn’t be a thoughtless action. If you are exploring medication as a part of your mental health treatment, it is important to approach your meeting with your prescriber prepared. Be prepared with questions about various options, about possible interactions with other medications you may take, about possible side effects, associated risks, and about the course of treatment. 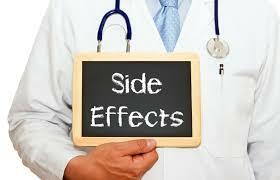 Most medications come with side effects. These can be short-lived and minor, or they can be more disruptive than the symptoms that initially brought a person to seek treatment. In some cases, these side effects can be life-threatening. It is good to have a conversation with your provider about common side effects, and particularly about side effects that should be responded to by discontinuing the medication. Another potential danger is interaction effects. 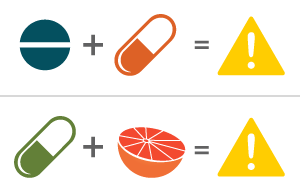 This refers to the effects of multiple medications interacting in a way that causes new problems, or that may amplify the effect of another medication unintentionally. Certain kinds of medications should not be taken together. Certain kinds of medications should not be taken if you drink alcohol or use illegal substances. There are even certain medications that can cause problems if they interact with foods such as grapefruit. Part of being an informed consumer is being aware of common side effects and interaction effects. Interaction effects should be avoided and side effects should be considered carefully to determine if they are worth the benefit of the medication that caused them. At times, medications can set off a chain of symptoms leading to wanting additional medications to treat symptoms of the original medication’s side effects. There are certain kinds of medications that can be dependency forming. Dependence is the term used to describe when the body has developed tolerance for a substances and when it experiences withdrawal in its absence; dependence does not always equate with addiction, but it generally leads to it and many use this terms interchangeably. This can be especially true of opioids (Vicodin, OxyContin, Percocet, morphine, codeine), central nervous system depressants (Xanax, Klonopin, Valium) and stimulants (Dexedrine, Adderall, Ritalin, Concerta). People taking medication exactly as prescribed are at risk of become addicted without even realizing it. With many illegal drugs, the pathway to addiction starts with use, progresses to abuse, and ends up in dependence and addiction. With legal, prescribed medications, the pathway to addiction often begins with use, evolves to dependence, and then leads to addiction and abuse. When a person’s body develops tolerance to their medication, the prescribed dosage is no longer effective in relieving the pain. And it isn’t an option for prescribers to continue to increase dosages indefinitely as tolerance increases. When the prescribed dosage is no longer adequate, many individuals turn to illegal drugs because they are more potent, less expensive, and unlimited. This can pose a serious health risk. According to the National Safety Council, “Four out of five new heroin users started by misusing prescription painkillers”. The director of the National Institute on Drug Abuse reported that “unintentional overdose deaths involving opioid pain relievers have quadrupled since 1999, and by 2007, outnumbered those involving heroin and cocaine.” Not only can abuse of prescription drugs lead to addiction and abuse of more dangerous and illegal drugs, but more people die from abusing certain classes of prescription medications than from some of those illegal substances. Because of these risks, many prescribers are hesitant to prescribe certain medications unless other options have been exhausted first. An informed consumer should similarly be invested in first trying treatment options that are less likely to lead to dependence and finding adjunct treatment options to address the underlying problems. Medication is a wonderful benefit and a marvel of modern medicine. 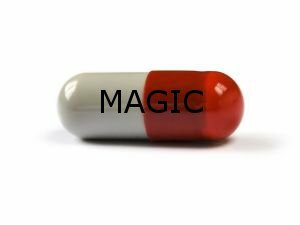 However, it is not a magic pill and should not be viewed as an automatic and universal go-to in the face of discomfort. In many cases, medication is part of symptom management. At times it may be the cure. But more often than not, it will require sometime of the person taking it. In mental health treatment, that something most often will involve counseling and possibly some changes in relationships or healthy habits. An informed consumer and their medication provider will explore the source of their distress to determine if medication is an appropriate resource and for what period of time. They should weigh out the pros and cons, the benefits and risks associated with a given medication, including potential side effects and the potential for dependence. Informed consumers should follow a well-informed treatment plan with a projected end date. And, when it comes to mental health care, more often than not, medication management services should be accompanied by counseling services.